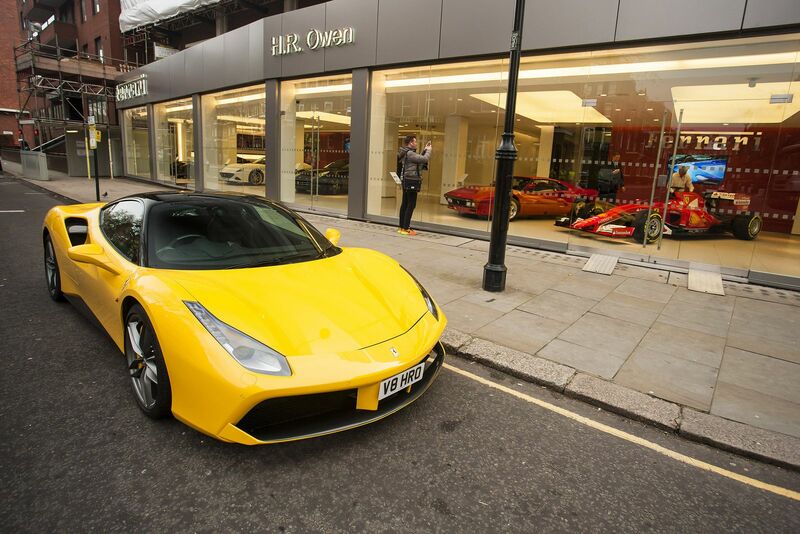 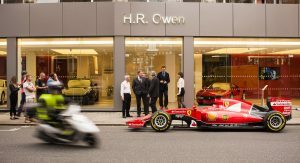 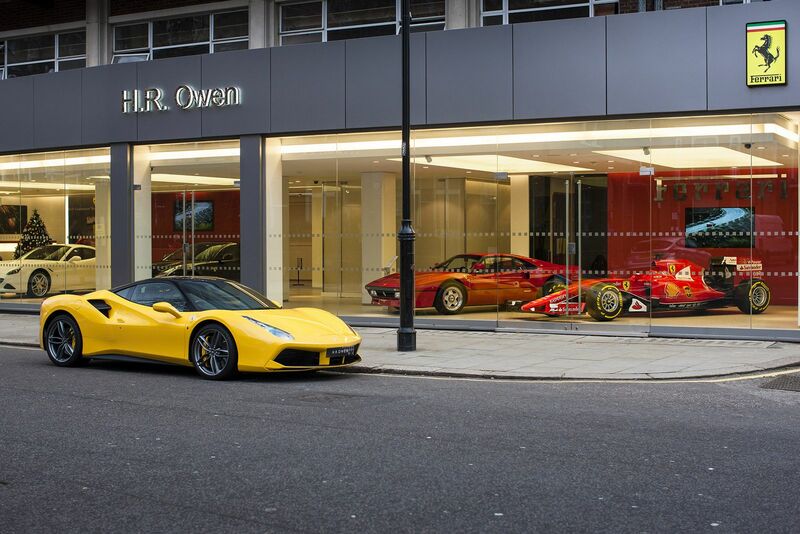 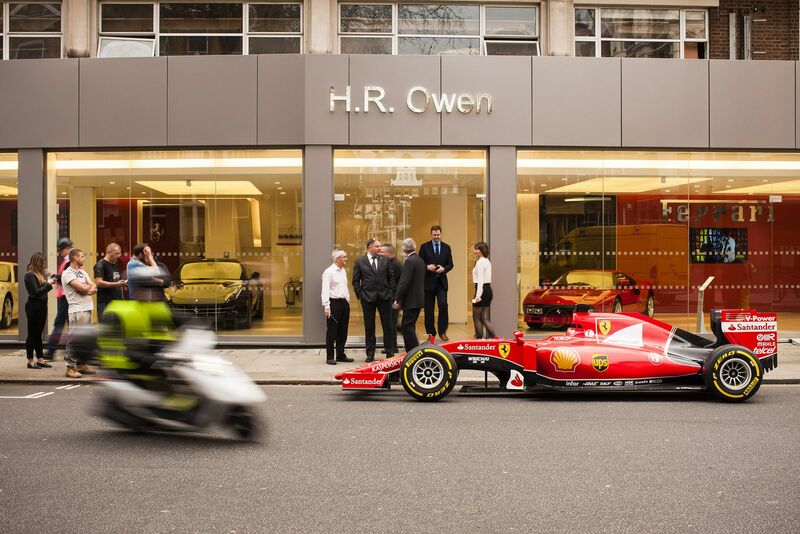 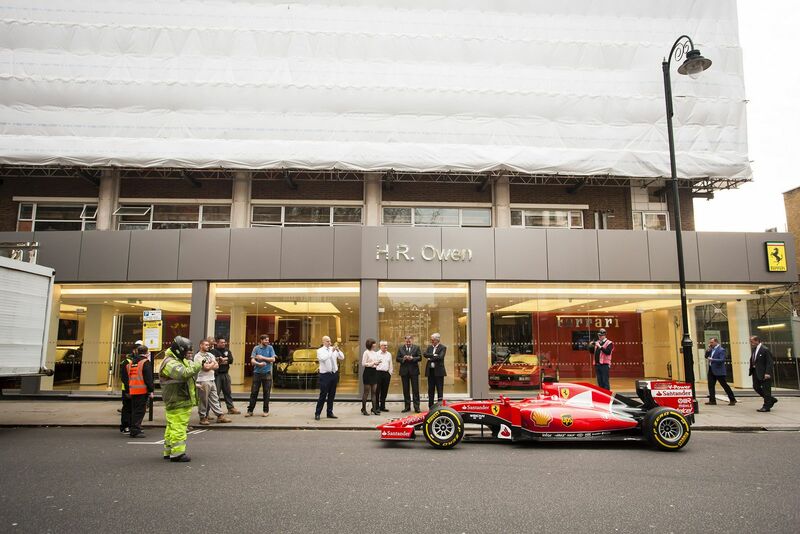 London’s primary Ferrari dealership, HR Owen Ferrari, has just been named the best dealership for the Italian company in the world. 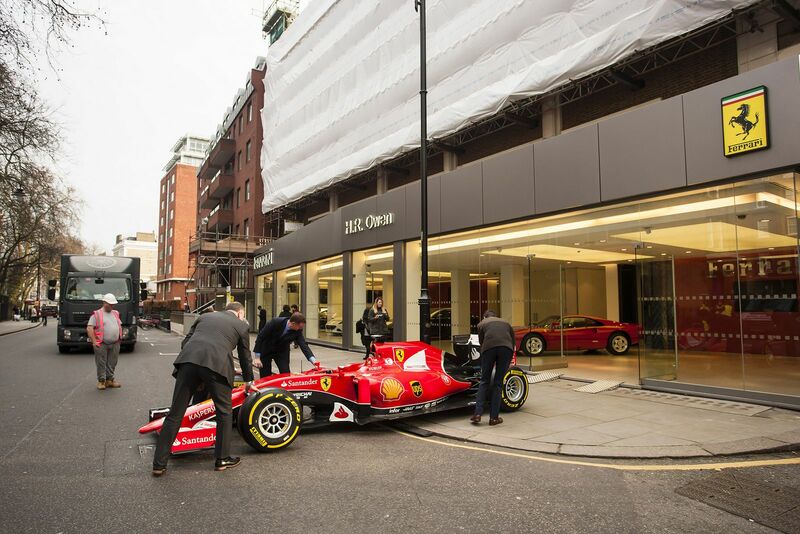 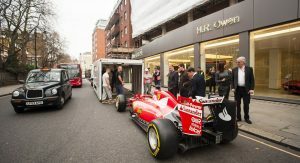 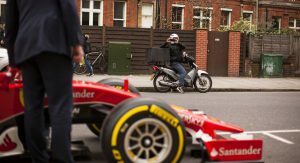 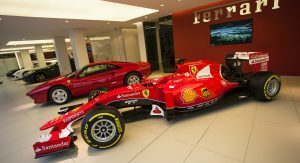 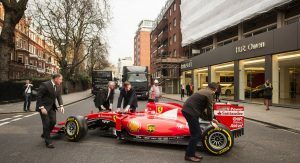 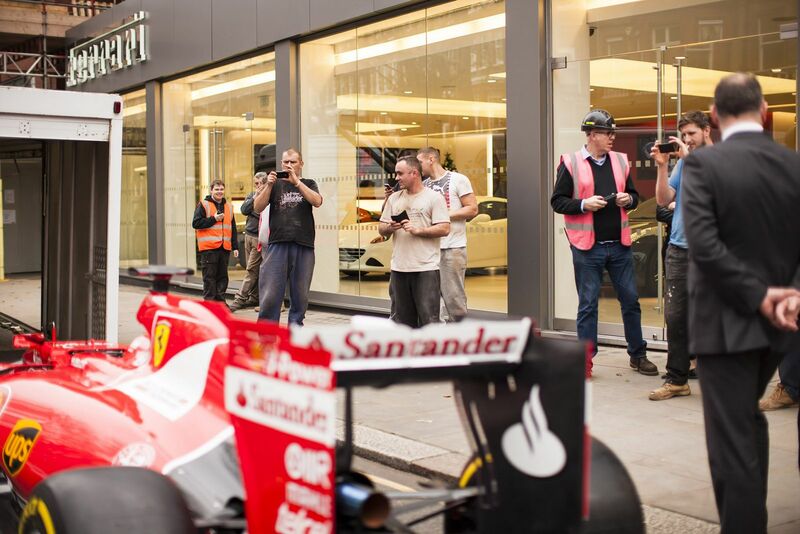 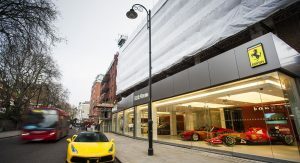 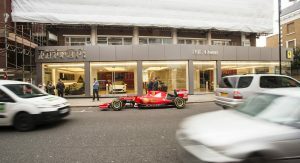 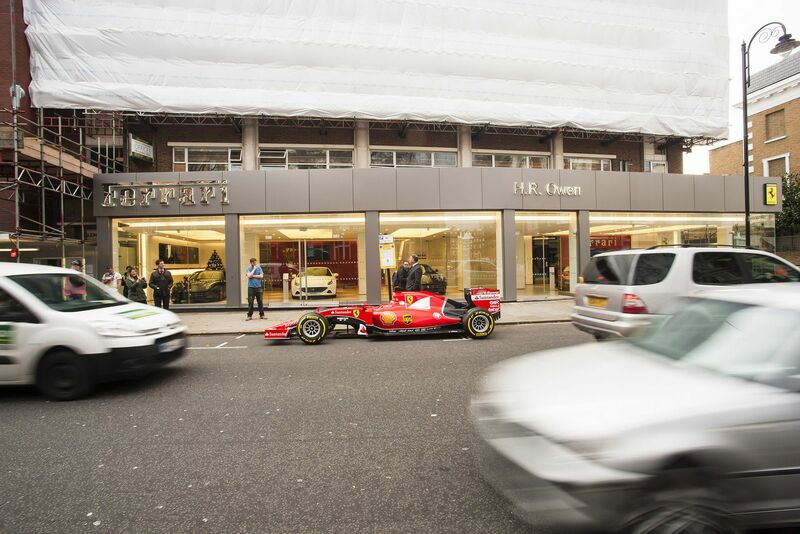 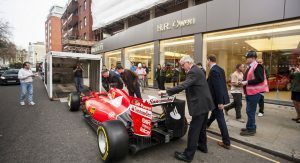 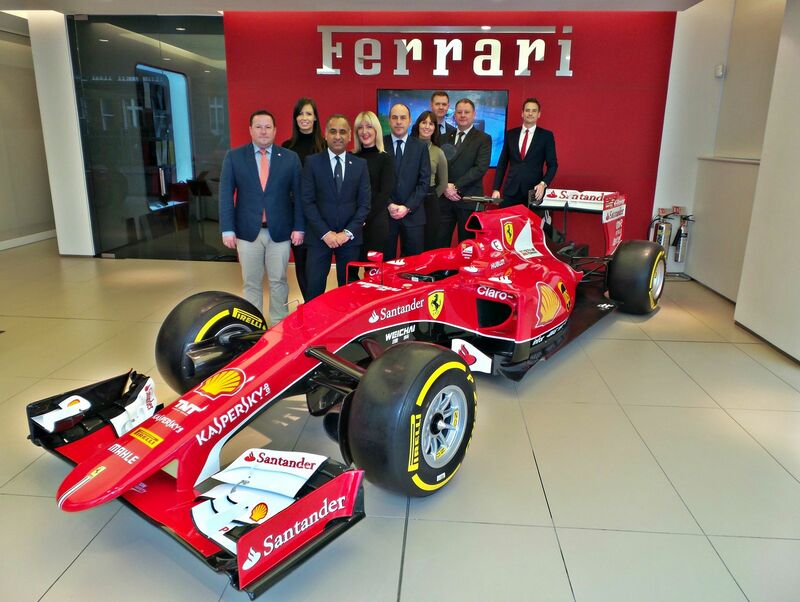 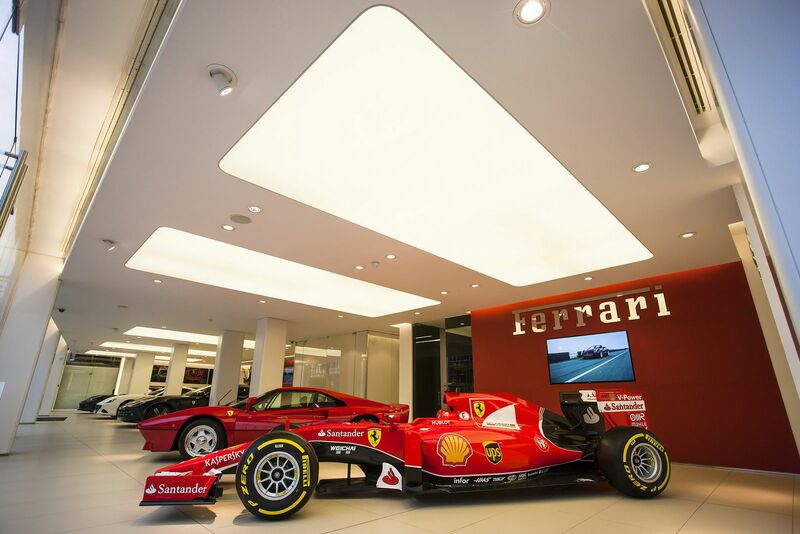 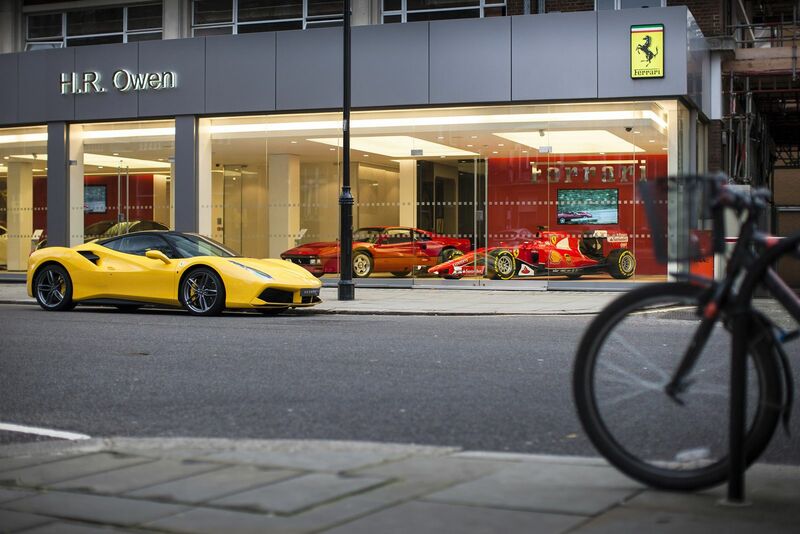 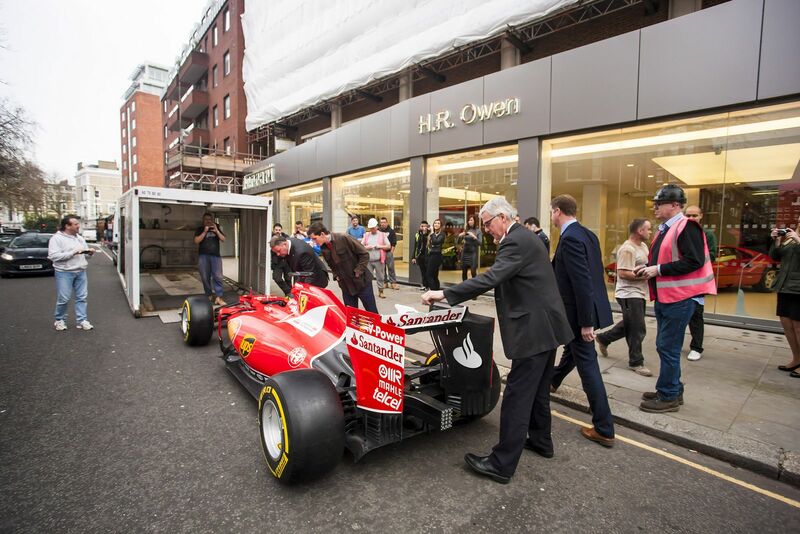 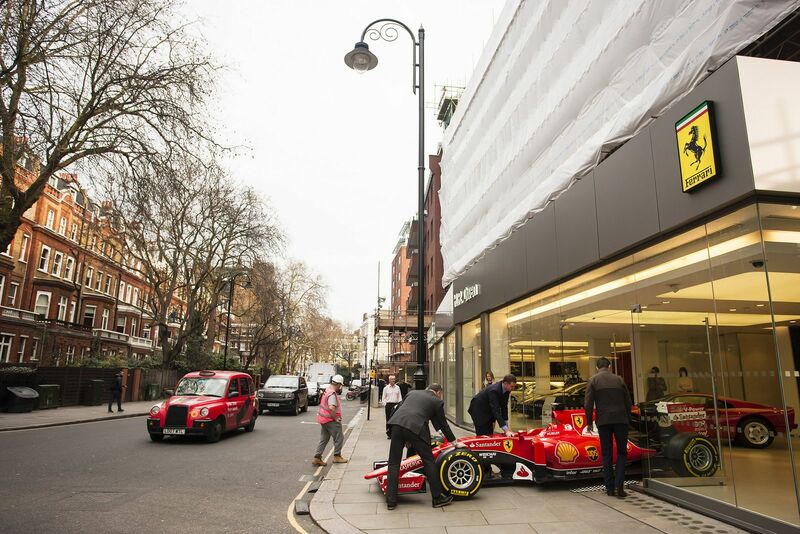 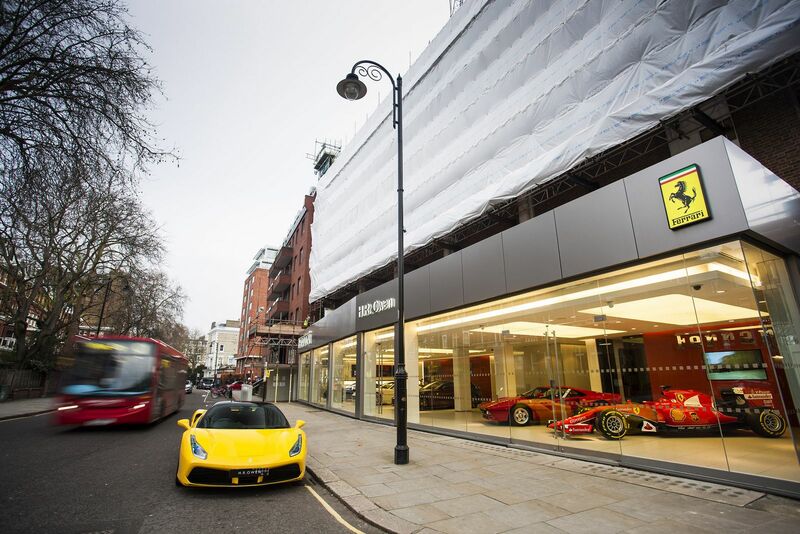 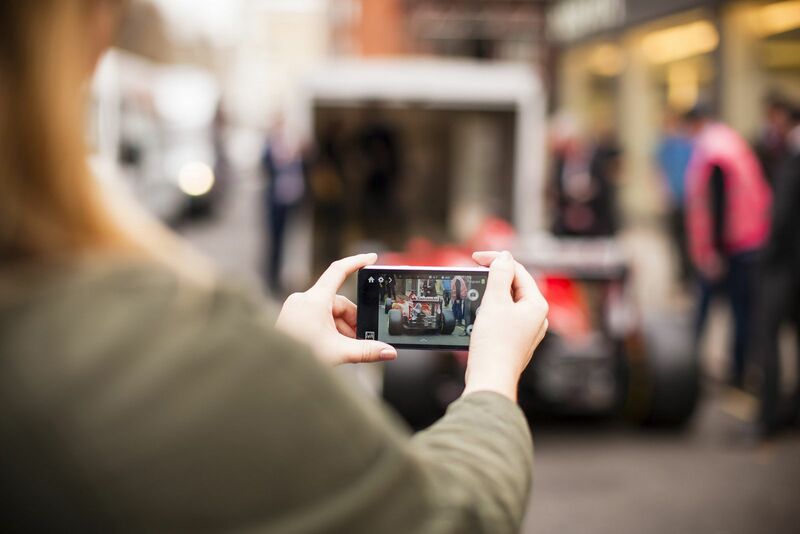 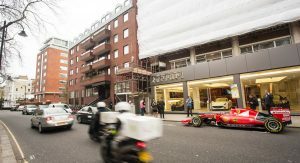 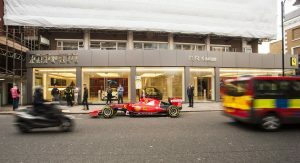 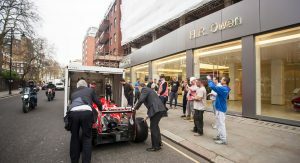 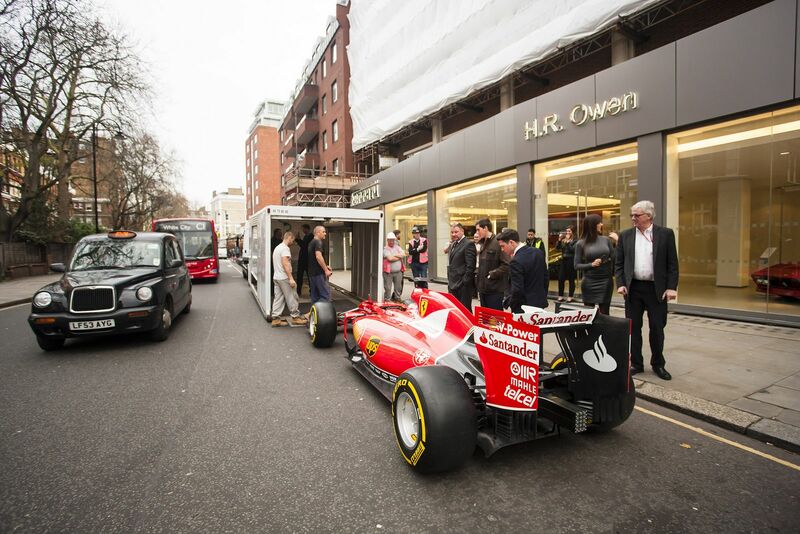 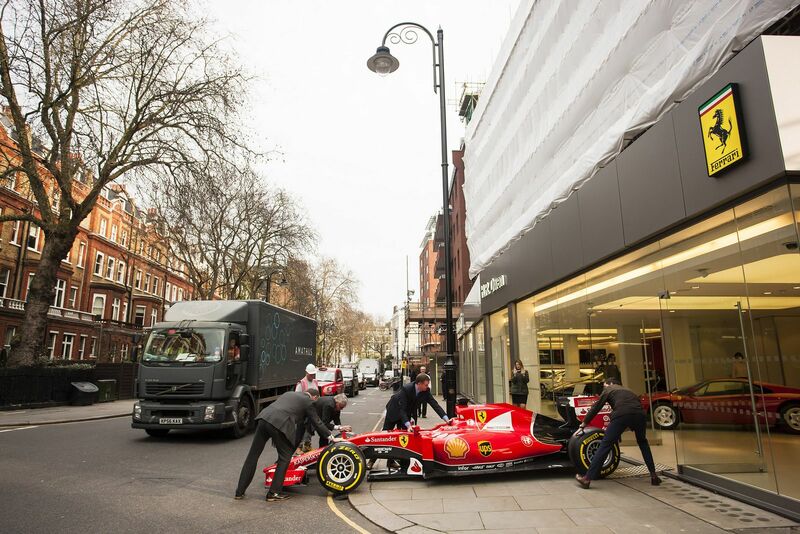 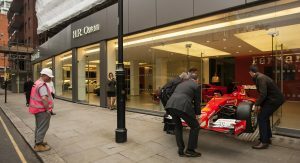 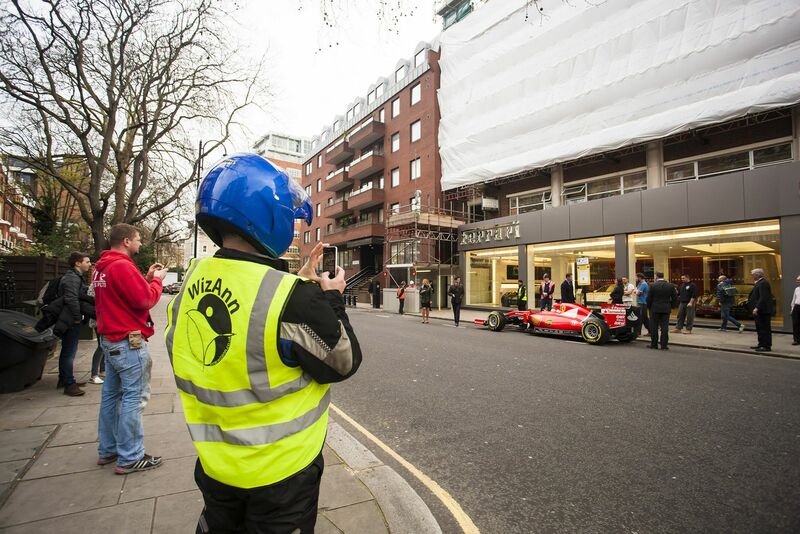 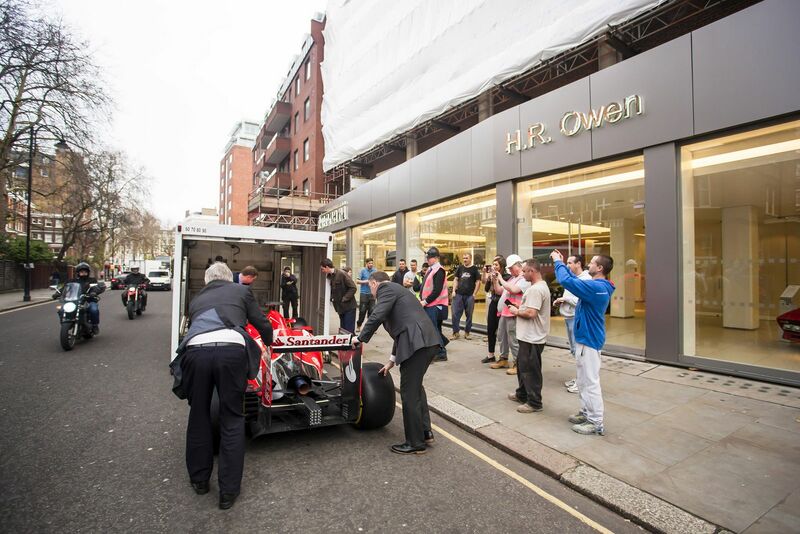 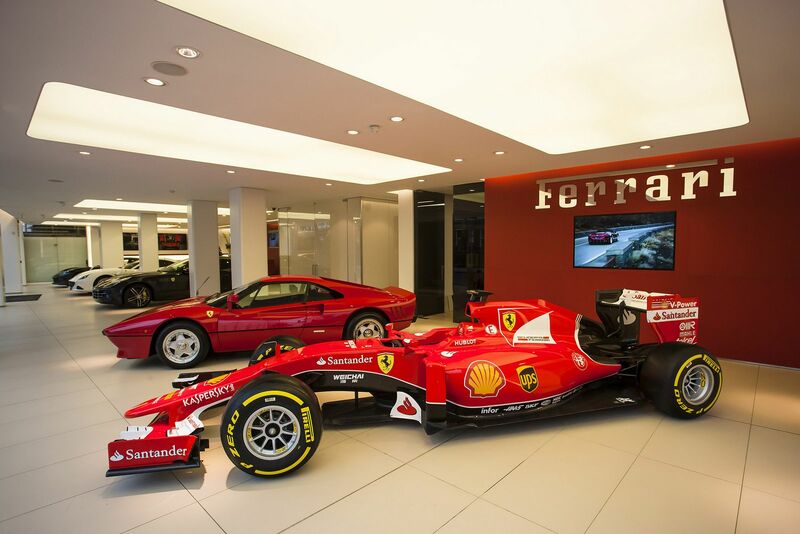 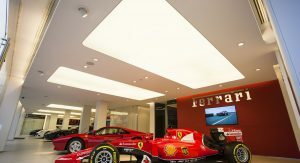 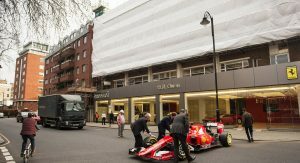 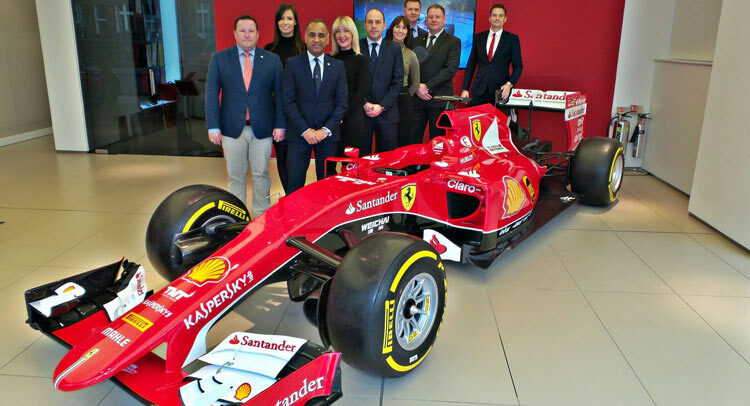 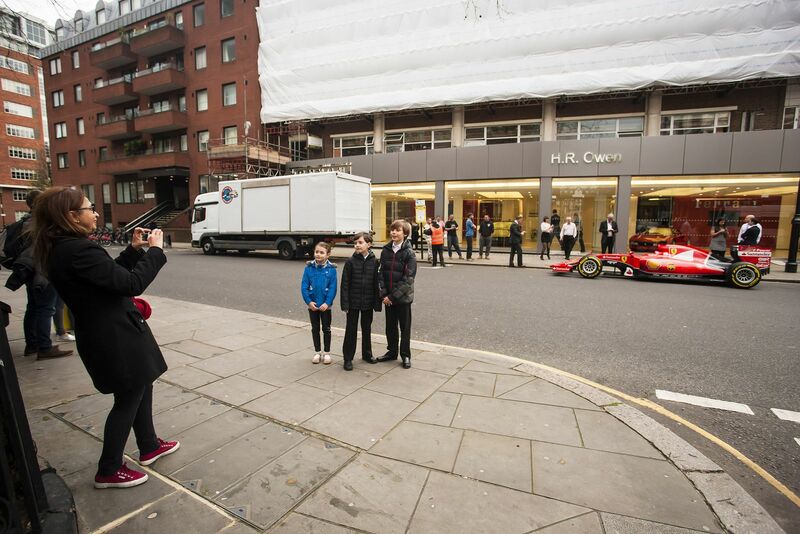 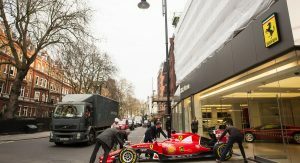 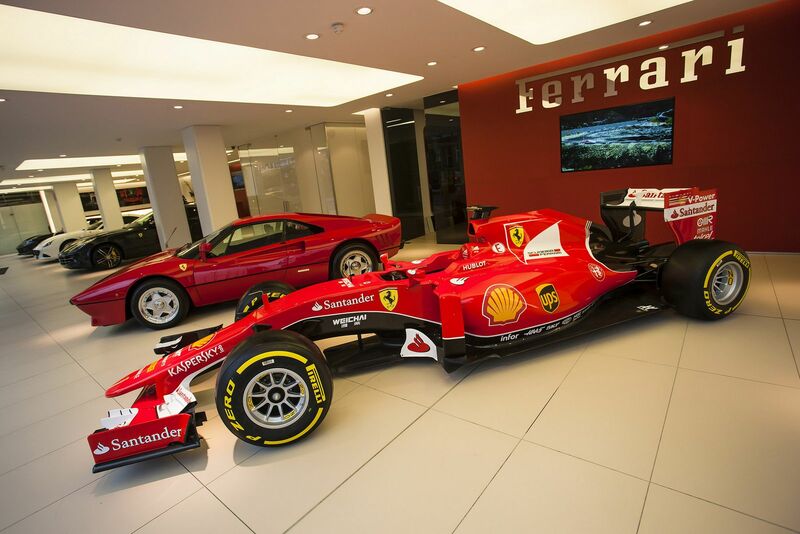 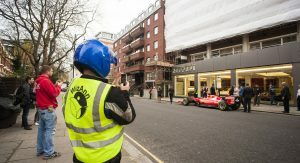 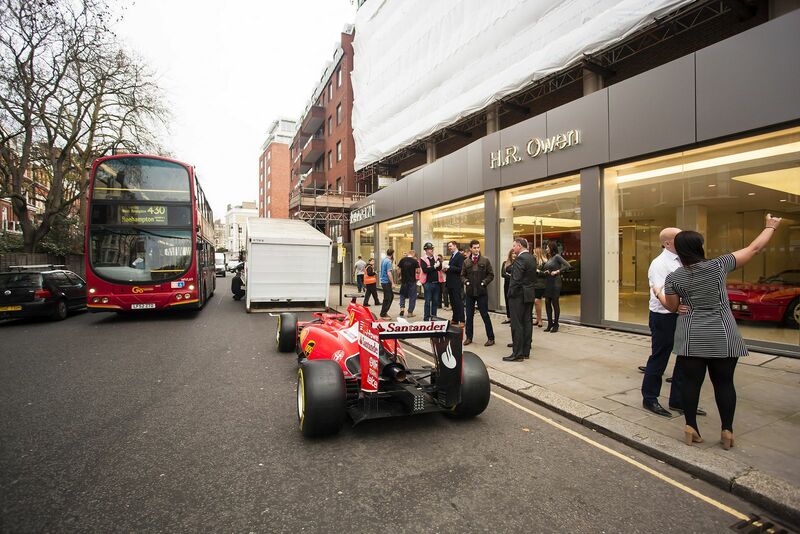 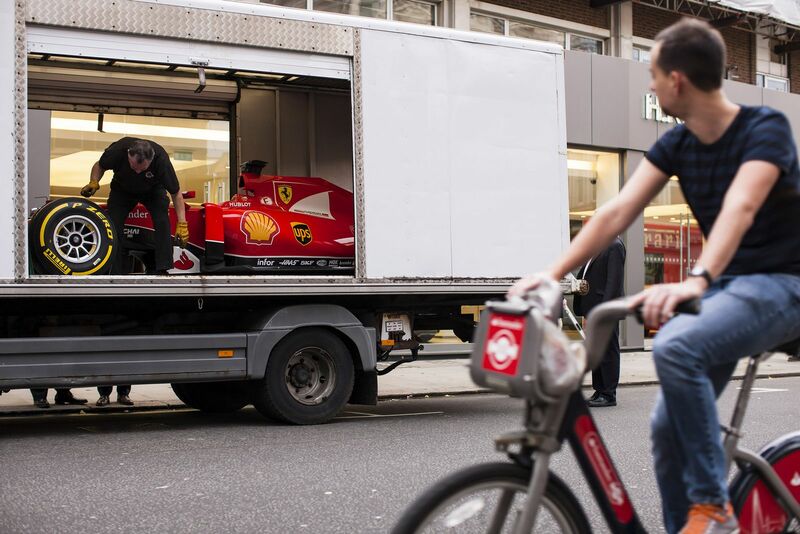 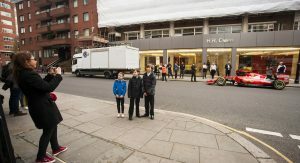 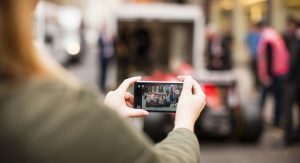 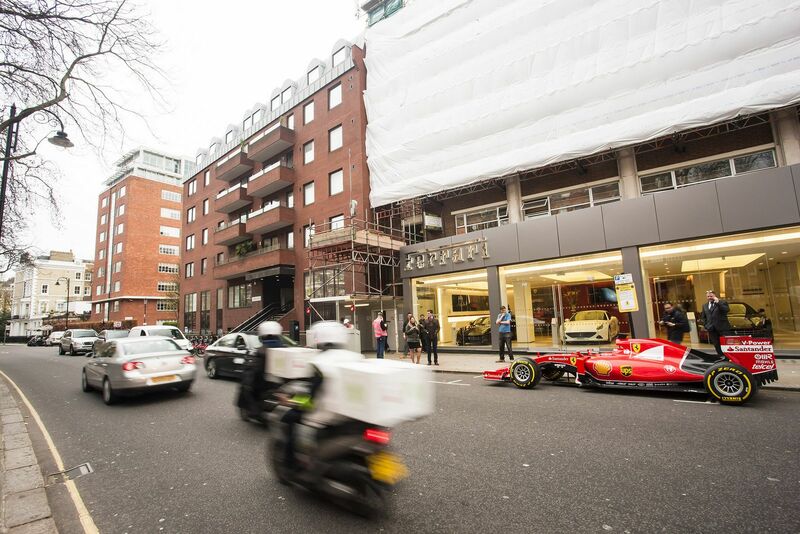 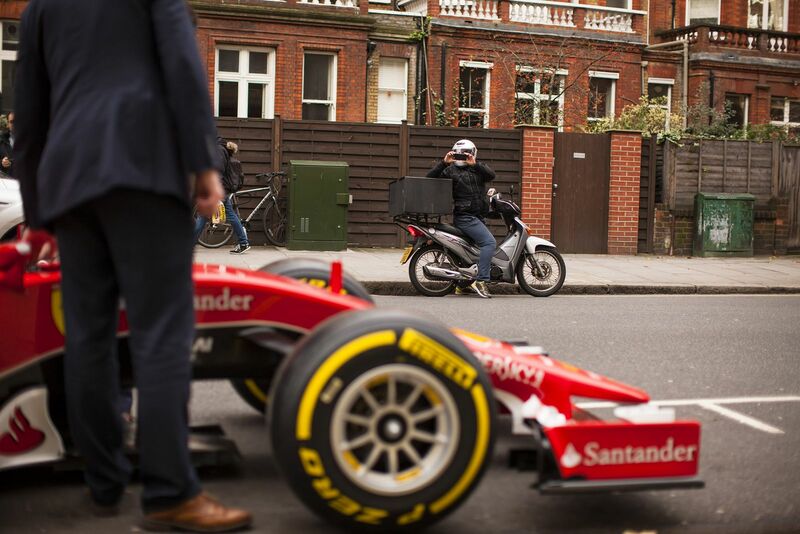 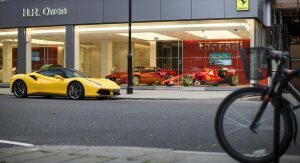 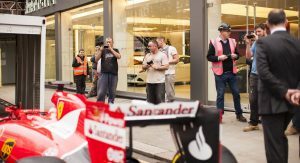 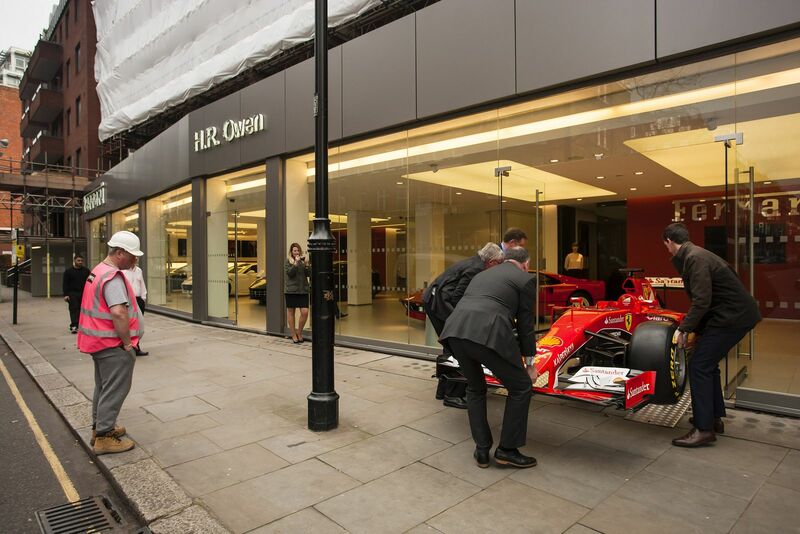 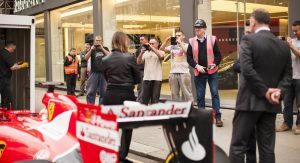 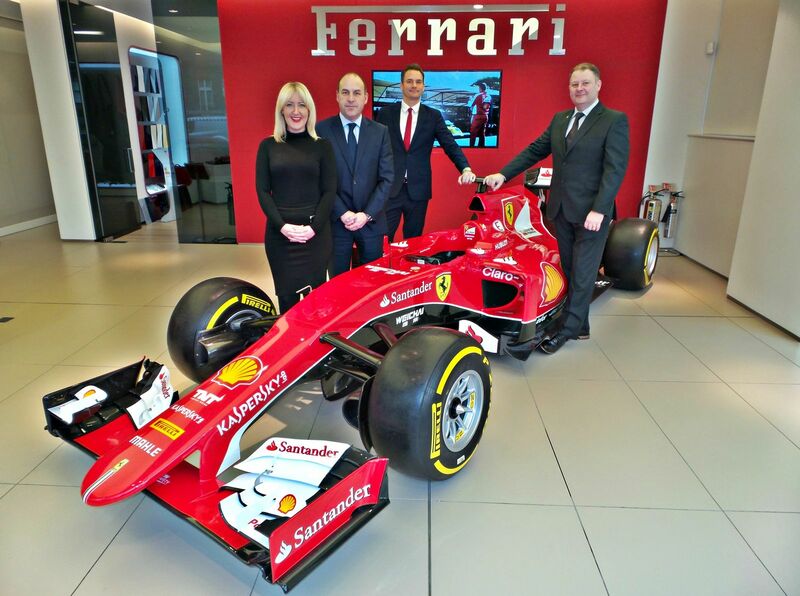 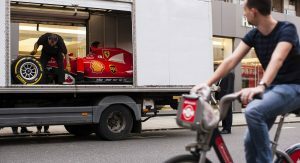 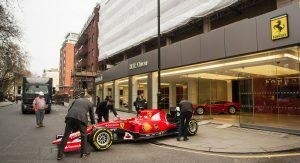 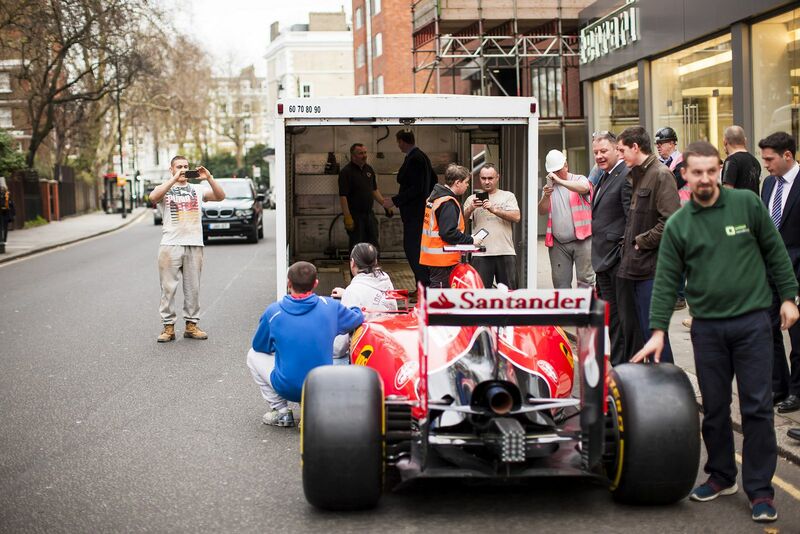 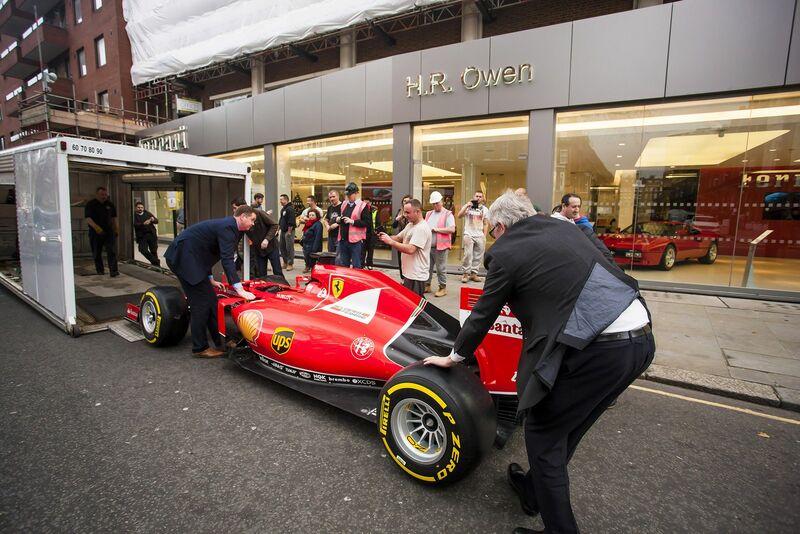 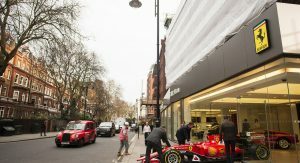 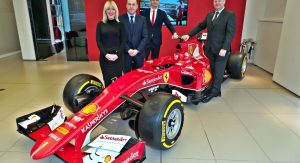 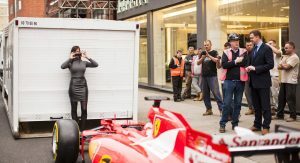 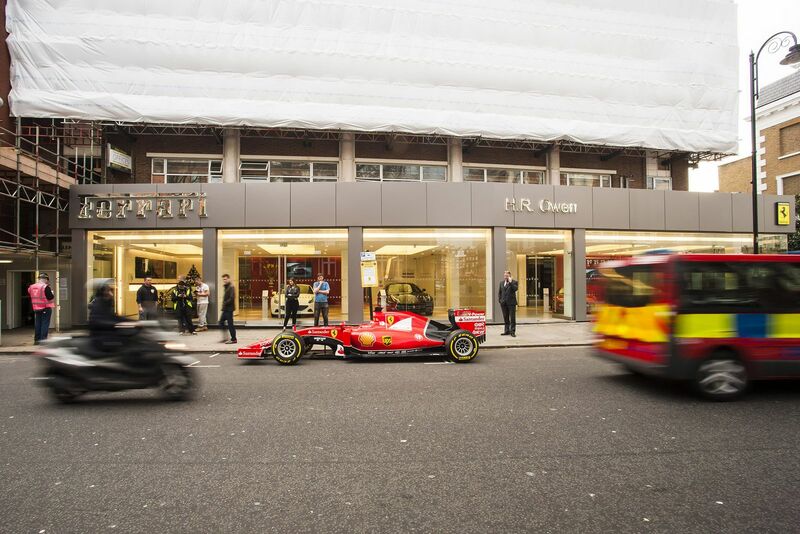 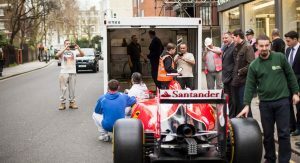 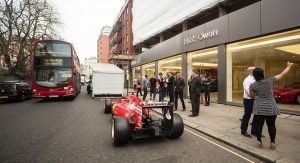 The dealer beat over 200 other Ferrari dealerships worldwide and has received a 2015 Ferrari Formula One car, which it will be able to display at its showroom on Old Brompton Road in South Kensington. 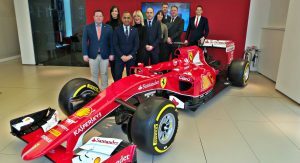 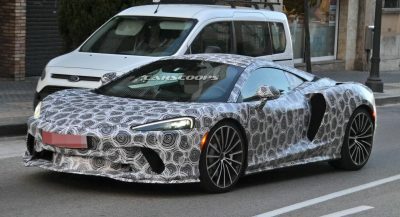 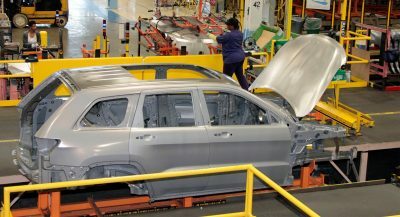 The award was given at the Ferrari world dealer conference late last year, with the automaker deciding on a winner after examining every aspect of the business. 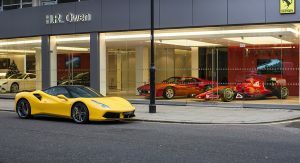 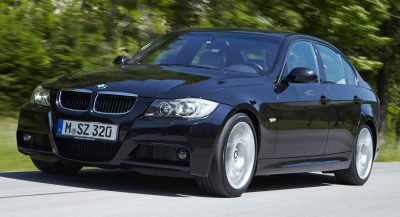 For example, it assesses the training and expertise of staff, if a dealer offers a demonstrator of every model, customer satisfaction and the typical time needed for servicing a car. 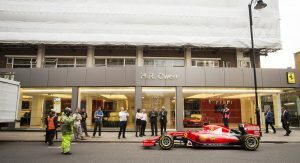 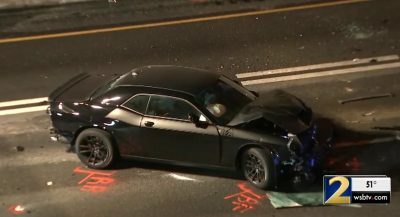 H.R. 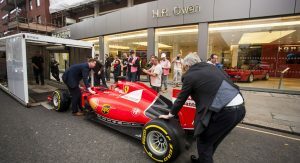 Owen Ferrari managed to score the maximum in all categories. 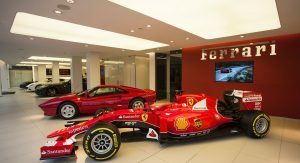 The dealership is expected to display the F1 car at numerous events across the year. 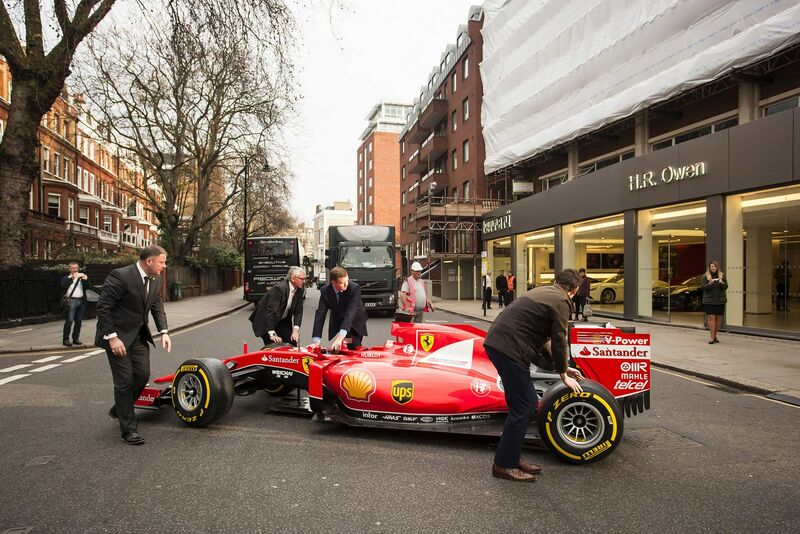 It’s a rolling chassis, which means it isn’t fitted with an engine, but still quite a sight to behold.